Add a splash of magic to your charm bracelet with this enchanting CHARM IT! 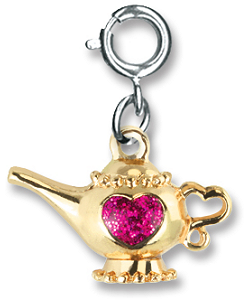 Magic Lamp charm. 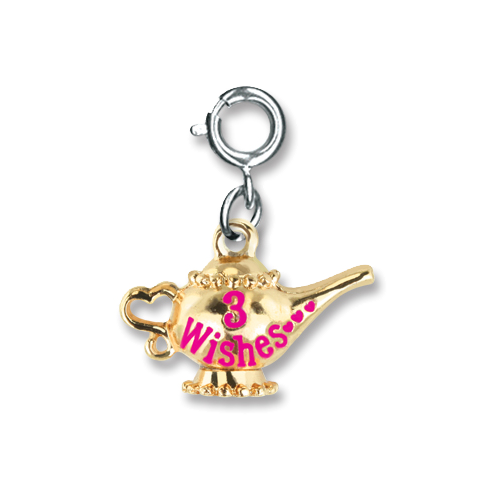 With a shiny gold finish and a dark pink glittery heart on the front, this 3-dimensional Magic Lamp charm has a heart shaped handle and features the words "3 Wishes..." on the back in colorful hot pink enamel, adding fun and fantasy to your charm bracelet. With a simple snap of a clasp, you can personalize your CHARM IT! jewelry with this magical CHARM IT! 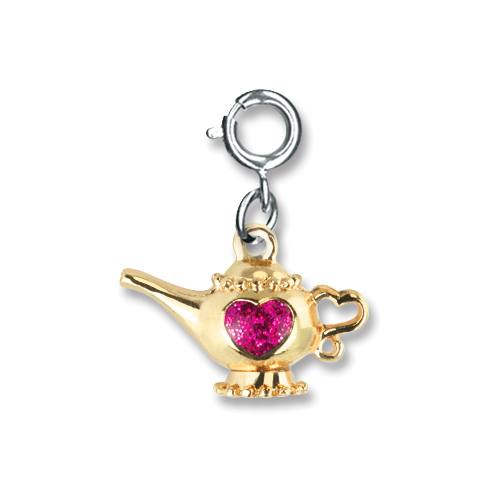 Magic Lamp charm.